What is happening now in Ukraine is not a full victory yet. However, it is the end of Ukraine post-sovietica and the birth of a truly independent Ukraine. In 1991 Ukraine became officially independent but remainded deeply post-Soviet inside. The ex-Soviet nomenklatura kept the power. These people were neither reform-minded nor patriotic and only cared about personal enrichment. In their turn, the population tolerated the situation because Ukraine seemed safer and more peaceful than other post-Soviet states and because they also believed they would be better off financially in independent Ukraine. As a result, for the last 23 years Ukraine stewed in a murky post-Sovietness which basically stalled the institution and nation-building processes (without completion of which no democracy and market economy can be built). It took exactly this time for a new nationally minded patriotic generation to grow up. Unlike their predecessors 23 years ago they knew they wanted their Ukraine to be independent and free – not only geopolitically but also internally. They wanted to leave the post-Soviet heritage of corruption, legal opacity, unprofessionalism, selective justice and repressions behind in order to start building a democratic European Ukraine. They were ready to die for it and some did. The battle against post-Sovietness is present at all levels, starting with the «elite» which was brought up under the conditions of «decaying socialism» and ending with symbols such as Lenin statues and squares. The latter were demolished or severely damaged in over 40 Ukrainian cities and towns. As a matter of fact, Ukraine’s post-Soviet legacy is vividly illustrated by the fact that up until now there were 176 Lenin statues against 46 Ukraine’s national leader Taras Shevchenko statues in Kyiv region alone. The Euromaidan also contributed to the consolidation of the Ukrainian nation. It is true that in Ukraine’s East and South 43% of the population didn’t support Euromaidan. However, about one fifth of the Maidan population is represented by the Southern and Eastern Ukrainians. Thus, Euromaidan and the end of the Yanukovych regime is a common achievement for all Ukrainians, the first of the kind in the history of independent Ukraine. It is also a common grief. Noone will ever be entitled to claim that the glorious slogan «Slava Ukraini!» – «Heroiam Slava!» is an ultranationalist greeting. Not only has it united Ukrainians from the very start of the Euromaidan, but also from now on it will bear a very specific reference to Maidan’s heroes. Called «the Heaven 100», the people who died in defence of their rights and freedoms came from all parts of Ukraine: from its Western, Central, Eastern and Southern parts alike. Likewise, the Euromaidan has proved that language is not a dividing issue in Ukraine, bringing together both Ukrainian and Russian speakers. This is just the beginning, of course. A lot of work is still ahead. In the first place, those responsible for the deaths, beating and torture of the innocent civilians have the face the strictest punishment, starting with Viktor Yanukovych. This will not only be the triumph of justice but also serve as a warning and a precedent for the future Ukrainian political leaders. 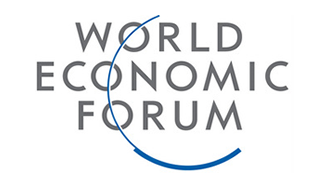 Drastic measures should also be taken to sustain Ukrainian shattered economy. Ukraine’s political future is uncertain, too. 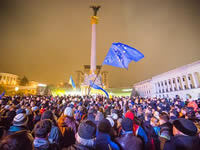 The actions of the opposition leaders during the Euromaidan have not added to their popularity among the voters at best. Besides, the majority of incumbent politicians enjoy limited trust among the population (level of trust towards politicians in Ukraine is one of the lowest in Europe). It will take time for new strong ideology-based parties to establish themselves. Besides, Ukraine’s ‘big politics’ has to resist the temptation of putting personal ambitions above the welfare of the state. Even the Euromaidan saw the appearance of numerous internal groups with their own vision of its aims and means. It is important that a qualitative generation change takes place not only in the top tiers of power but also locally. Otherwise we will have a deja vu of 90-ies when inert and passive civil servants resisted any potential change. Last but not least, Russian imperialistic ambitions are here to stay. Kremlin will not stop trying to weaken the Ukrainian statehood. It is important to remember that no change will take place instantly and to have no false expectations from the future political process. However, in contrast to the Orange revolution, I don’t think this could be the case now. The Euromaidan didn’t have a single leader, let alone a political one, from the very beginning. Each of us knew that the success depended on him or her personally. This new skill of taking individual responsibility for the future of the country was one of the Euromaidan lessons to Ukrainians. The next skill to be developed is to make it a routine daily practice. Classic card game from 90s with new interface.